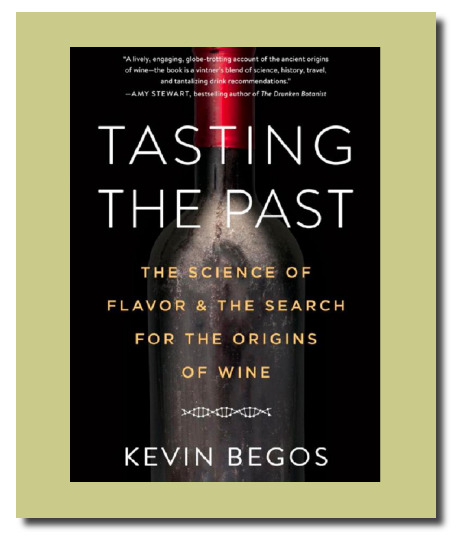 This book depicts a fascinating journey of the author whose chance encounter with a bottling of an obscure grape from a little-known winery in a hotel room in Israel sparked an investigation of historical yet esoteric wine grapes and extensive research into the historical origins of winegrowing and winemaking. A former MIT Knight Science Journalism Fellow, Begos is an accomplished writer who enlightens with insights about the spread of winemaking throughout the world, the search for the “Mother” wine grape whose DNA is linked to almost all vineyards of the world, about DNA decoding of wine grapes, how native grapes are being rediscovered and promoted, and the joy of unexpected grape variety experiences that go beyond the established varieties such as Cabernet, Pinot Noir, Riesling and Chardonnay. The science presented in the book is easily understandable. There are a number of suggested wines featuring ancient and obscure grapes that the author has enjoyed. Algonquin Books, published June 12, 2018, hardcover $26.95, 288 pages. Score 95.